Most new traders and lots of experienced traders concentrate mainly on the method used to come out with trades and the trading plan. That looks fine, but are they missing something? The trading method cannot always be separated by risk and money management. And usually risk and the trading method go hand-by-hand. We can define our risk per trade, for instance, 1% of our capital. I do not recommend you risk more than 1% per trade, you do not have to. If you are learning, risk a fraction of that. Is defining our risk enough for successful trading and making sure we maintain a constant, high “emotional capital” too? The “emotional capital” is our level of confidence that has to stay high all the times, and we know that confidence comes from comprehension + proof. I do not want to address the confidence issue in this post, but I want to just address the question posed above. The answer to that question, if defining our risk is enough for successful trading, is a decisive no. We cannot just rely on the definition of our risk, say 1%, per trade to keep a high level of confidence. For a very simple, but scarcely understood, reason: the “markets can do anything”. Isn’t this one of the notorious “truths” about the markets introduced to us mortals by author and trader Mark Douglas? Look, this is not just good infotainment, or a concept found in a famous trading book that everyone should read (but also a concept that very often does not look very actionable — it certainly was not for me the first time I read “Trading in the Zone”). This is the real deal! This is what you need to understand if you want to be a successful trader. This makes the difference between being an average, losing traders part of the large 95% group, or being part of the elite 5%. In fact, a good part of my research on money and risk management is focused on understanding how the trading methods and the risk and money management techniques must be tuned together in order to comply with that very truth – that the market can do anything – and still come out to the other side in the green, and not in the red. Before I tell you what I came with, so that you can use these concepts to improve your trading and your success rate, let me explain you why I am qualified to talk about money and risk management. 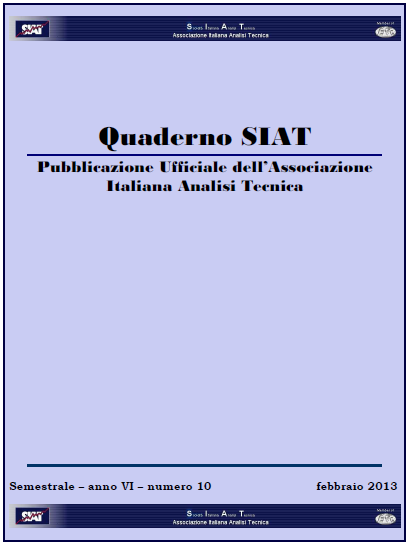 Without any bragging, I want to let you know that I am a researcher for IFTA/SIAT the International Federation of Technical Analysts and I have published 3 articles in the last 3 years, the last one in July 2014. The selection of articles published on the member societies’ journals is based on a screening process by a group of experts belonging to the scientific committee. 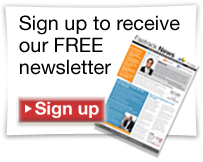 Published articles go through rigorous scrutiny which guarantees quality and innovation. One of my research papers focused on the elaboration of a research performed in 2010, during my Masters in Finance at the National College of Ireland. I remember heated verbal fighting (almost) with the college’s committee members during the discussion of my master thesis’ proposal. I wanted to demonstrate a linkages between adoption of different money management techniques and trading and investing objectives. I researched that topic thoroughly, and while the linkages between money and risk management and trading results are very well understood and documented in finance research, nothing had been written in 2010 in relation to the linkages between money management and investing objectives. Plus research in finance focuses a lot on asset allocation while so called position sizing, or money management, that is important for retail trading is usually left in the shadow. After convincing the committee on the feasibility of the research that required building model based on a uni-variate Montecarlo simulator (thanks to my background in Computer Science Engineering) I produced an innovative piece of research that filled a gap,… and earned the highest grade in my class. One more reason why I am qualified to write and discuss about position sizing is that I have studied with Van Tharp, one of my mentors. Van Tharp is a reckoned world expert on money management, position sizing and trading psychology. Every serious trader should study and understand his books and courses. I did it. Now that you know that maybe what I have to say about risk and money management has at least some grounding, let me tell you what I have learned about them and how that can help you. You filter the trades you take also based on market structure. What does that mean? If in the direction opposite to your trade there is an area where algos, or program trading or professional traders can step in and reverse price, you have to forego your trade or make sure that your money management has you covered. Your money management strategy must take into account that possibility. You may be thinking: that looks really complex to accomplish! And maybe it is, especially if you use traditional technical analysis approaches! Try to think how difficult it can become to be successful in trading when you couple the well known lagging of common technical analysis practices and indicators derived from price with the requirements of one simple, fundamental market’s truth: “markets can do anything”. Do you start seeing the picture? Do you understand why 95% of traders who are drawn into traditional technical analysis lose money? Do you see now why I do not use indicators on my charts? Of course there is a solution for this situation. Part of that solution is a logical and obvious one, now that you know the above: do not use traditional technical analysis. And I ask you to be very critique about 95% of traders and mentors, including myself. When you are evaluating a mentor or a signal providers ask questions in relation to what you have learned about money management and trading method in this post. Another part of the solution is to learn money management properly. That is not just learning the equations and calculations to come with the proper position size (Van Tharp calls that the CPR formula, C=Capital, P=Position size, R=Risk). This is basic stuff! You have to learn how to modulate risk and position size to reduce the overall capital loss (remember, PPC= Protect Precious Capital, is rule #1 of trading) and obtain risk-free trades as soon as possible, after you open a position. This means taking partial profits at certain predefined points, or forego the trade, if obtaining a free-risk trade is impossible or puts your capital at a higher risk of loss. In case the market goes against you, you have to know what to do. In order to decide whether the market can go against you, you need to understand how algos and professional traders are positioned in the different timeframes, and what they could do next. This requires understanding market structure to know whether the market has a high probability to go against you BEFORE you make your trade a risk-free trade. Hope the picture starts shaping up. I will close this article reminding you to be always defensive with your own money and aggressive with market’s or other people’s money. Make it a rule! If what I wrote above seems to force a big burden and discipline on your trading, don’t get discouraged. That’s good, in fact. Professionals trade in a way that is consistent with the psychology of the market, with the presence of algo trading in modern market, with the requirements of strict money management and taking into account that the “market can do anything”. Still they come out on the other side winning consistently. So it means it can be done, and you can learn to do it, too. 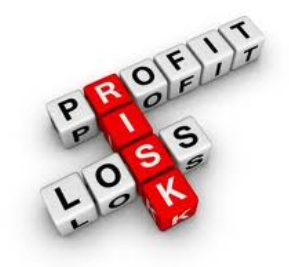 Finally, I want to close with the observation that proper risk management can help limit your losses and propel your gains when you become aggressive on the money you earn making gains in the markets (this is what I call market’s money or other people’s money). Think what is possible by risking 1% or less of your money and 10% or more of your gains using methods that can help you pinpoint the participation of algo trading at a trading level in a procedural way and on a very small timeframe. The result? Magnified gains while being very defensive with your own money. This is how hedge funds, institutions, professionals and algorithms make money. That’s where the consistent and significant gains are hidden. Why would you want to do things differently? Let me know what you think about this article and the concepts you have learned. In my trades I use a proprietary method based on modeling the effects of Program and Algorithmic Trading on price. I like to help traders at all levels of development “level plain” the trading game showing what banks, institutions and big hedge funds are actually doing (and not what they are saying they are doing). 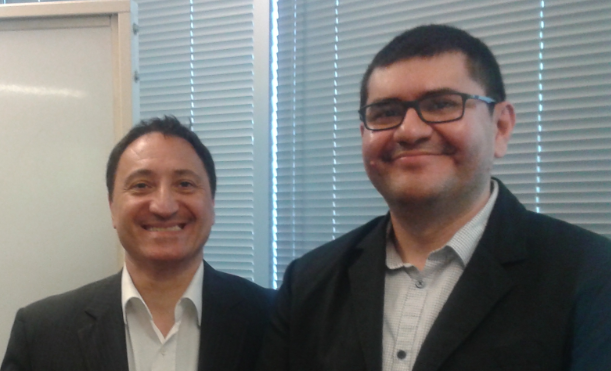 On Thursday July 3, 2014 I had the honor and pleasure to host Alfonso Esparza as guest of the Toronto Forex Group, for a very inspiring, useful and practical presentation. Alfonso is a senior, experienced currency analyst with OANDA and publisher of MarketPulse. As a trader and market analyst I am into using a “modern variation” of Fibonacci to spot areas where participation of widespread classes of algorithms can be anticipated. So although I value fundamental analysis, I rarely make reference to it in my trading, as I find it is very difficult to integrate discretionary tools into my rule-based trading. But what I and the other several participants have learned from Alfonso at the July meetup is that there can be identifiable market, economic and geopolitical situations, like those developing from social dislocation (the topic of July presentation) that can be analyzed and explained using well defined conceptual frameworks. This can surely be of help to any trader using any trading style. A great example is the study of recent movements in Turkey, originated by the third re-election of a president and a sit in in a park that snowballed into much larger protests. This caused – between Q2 and Q4 2013 – social unrest in Turkey that, combined with the potential withdraw or reduction of US money (after the FED started mentioning tapering), sent the Turkish Lira and the currencies of other emerging markets tumbling. As a result the Turkish Lira lost almost 30% in about 6 months, but the Turkish equity market remained relatively stable, with a slightly downwards bias. This confirms a number of very important, and in some cases unanticipated, facts when it comes to trading special situations like, for instance, the opportunities originated by social dislocation. 1. The forex currency exchange against the dollar and other leading currencies will always see the wildest changes. Thus, the Forex is really the place to be when it comes to volatility, and you want to keep an eye and study social dislocation. 2. Quick outflows out of the affected country will take place, also facilitated by size and liquidity in the Forex market, and decrease in demand for the currency is typically witnessed. 3. Investors’ confidence in the country’s equity market can wane after continues protests and it is possible that some investors will reduce their positions. However a “crash” is not to be expected. The above points also represent, according to Alfonso, the areas where to look for impacts of social dislocation. As part of the presentation, a simple model for understanding the effect of social unrest has also been provided: the “Social Disruption Cycle”, which illustrates the evolutions of unrest as function of the possible responses from Governments. Unrest can be caused by several factors like, for instance, youth unemployment, inflation, population growth, economic crisis, political uncertainty. Governments can choose to respond to unrest in different ways that include acceptance and dialogue or oppression and further violence or larger unrest. The effects of internal factors like those mentioned above can also combine with several external or global factors that will make the analysis more articulated. I like to conclude this article with a brief mention of another model offered by Alfonso. As an engineer and practical lover of conceptual frameworks and models, I could not leave out the “Disruption and Market Reaction” model. Particularly interesting is the role of social media in current markets: the bad news will break out whether the government and media will want it or not, and the Forex market will be the first to record the depth and anticipated effects of the social unrest. The other markets will typically wait and have a clear idea of the size and scope only after the government response, and international and social media will give a reading on the situation. Depending to the type of response, markets will calm down in case of peaceful resolution or continue their downward trend in case of oppression. OANDA has gracefully offered access to the full recording of the presentation, including the Q&A session, and I heartily recommend you watch and learn from Alfonso. The presentation also explains the three steps to avoid being blindsided by social disruption and how to correctly read the facts, in relation to the dimensions and effects on the Forex exchange rate, the actions that can be anticipated and taken on investments and the monitoring of other asset classes. The simple and effective “framework” offered by Alfonso is completed by the current analysis of special situations represented by Turkey, Thailand, Greece, Brazil and Ukraine, offering both a lucid reading of the current environment and model examples and study cases of about how to go with the analysis. Watch Alfonso Esparza’s presentation: “Social Dislocation: Identifying Actionable Strategies and Potential Immediate Market Dips” on MarketPulse.com.